How much water should you drink a day -- 8-10 glasses, right? Well, as it turns out, there’s no scientific research to back up this number. Learn the best way to figure out how much water you should be drinking. You should be drinking 8 to 10 glasses of water a day, right? Well, as it turns out, there’s no scientific research to back up this number. Learn how to figure out how much water you should be getting and other ways to stay hydrated this summer. Your body relies on water for a lot more than quenching thirst. Water makes up about 60% of your body weight, and it helps control our body temperature, flush toxins and retain moisture. Because we lose fluid through breathing, sweating and bathroom breaks, we need to constantly replenish to keep body fluids in balance. The truth is, fluid replacement doesn’t have to come just come from straight-up water -- all fluids and many foods contribute to hydration. That’s right -- everything you drink and foods like soups, fruits and vegetables count. Foods actually account for about 20% of our average fluid intake, while beverages make up the other 80%. Now that's not carte blanche to replace all the water you’ve been drinking with sugar-y soda or coffee, but it does mean that everything counts. Recommendations for how much “water” to drink should actually be recommendations for how much total fluid you need in a day. 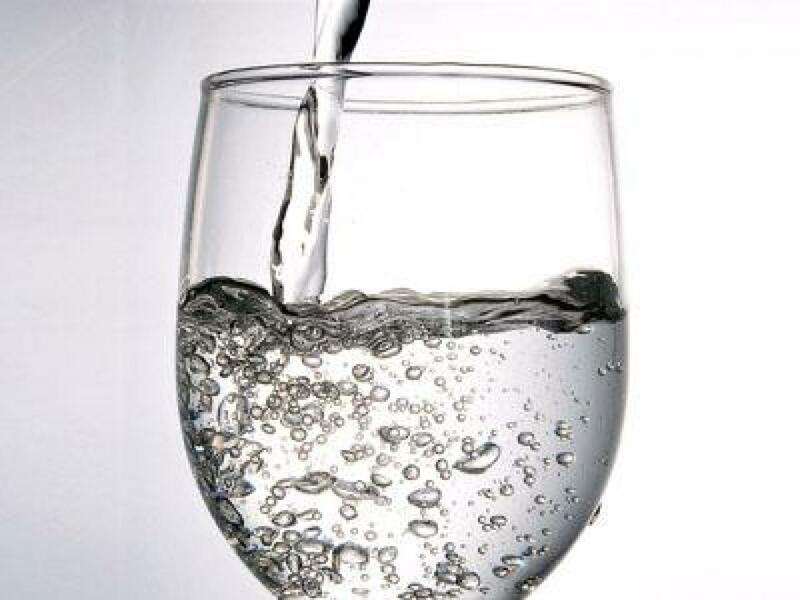 Of course, water is still the best choice because it’s calorie-free and gets absorbed quickly. Americans get more than 20% of their daily calories from beverages, and it's easy to overdo it, which can mean extra poundage. But Caffeinated Drinks Dehydrate You, Right? That's also a myth, too. Research supports that caffeine-containing drinks do not have a negative affect on your overall hydration levels. 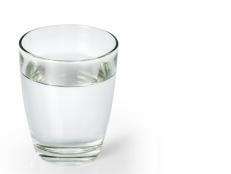 The Institute of Medicine recommends about 11 cups of fluids a day for women and 15 cups for men on average. If you exercise regularly or spend time outside in the heat, you need more. Women that are pregnant or breastfeeding also need more. The absolute best way to tell if you are properly hydrated is to check the color of your urine (I know, it’s kinda gross, but it works). Dark yellow means you're dehydrated, and light yellow or clear means you're getting enough fluids. Also pay attention to your sweat rate. If you sweat more because of exercise or a hot day in the sun, you need more to drink in order to replenish. Nutritionally, there’s virtually no difference between tap and bottled water -- unless you live in an area where the water has been deemed undrinkable, of course. In fact, tap water may contain more minerals than the bottled stuff. Bottled water is often a convenient option, but it requires a lot more energy to produce all those plastic containers -- plus, it can get pricey. According to Planet Green, one liter of bottled water requires 2,000 times more energy to produce than one liter of tap water! Reusable drinking bottles are the eco-friendly way to go. If plastic bottles are the only option, re-fill them with tap water a few times to get some extra use out of them. Check out our tips for using safe plastic containers and drinking bottles. Bottom Line: All fluids and foods contribute to your hydration, but good ol’ water is still the best choice. Drink fluids with meals and throughout the day (and some extra if you exercise) to make sure you’re getting enough. 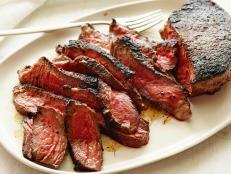 Ask HE: How Much Protein Do You Really Need? 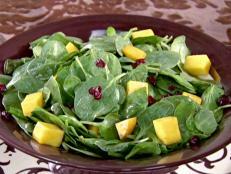 Many associate eating healthy with getting more protein and cutting back on carbohydrates. While protein is an important part of any diet, more isn’t always better. 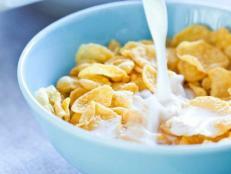 Most people eat adequate amounts of this muscle-building nutrient. 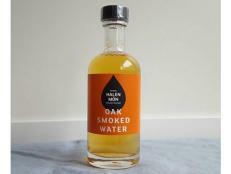 A Welsh sea salt company is capturing international attention for its new fancy smoked water. How Much Water Do You Need to Drink Each Day? 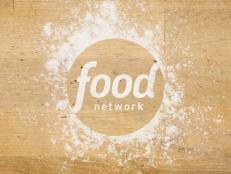 Find out if you're drinking enough water and staying hydrated during the summer months with these tips from Food Network. 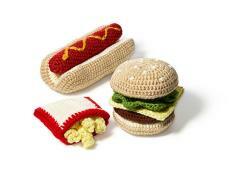 Crafters are cranking out something new and totally irresistible: crocheted snacks. Inspired by the popular Japanese art of amigurumi (crocheting small dolls and toys). Ask HE: How Much Salt is Too Much? 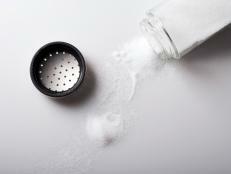 Heavily-salted foods are on the chopping block all over the country. Some of the world’s largest food companies are slashing the salt content of their foods, and a new study says salt reduction can help your health. But is all salt bad? 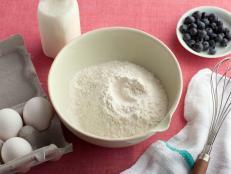 Easy Homemade Gifts — Really! 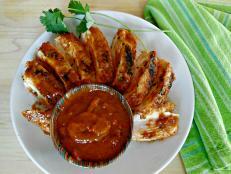 This barbecue sauce is an incredible blend of sweet and tangy ingredients, creating a mouth-watering topping that's excellent with grilled chicken.